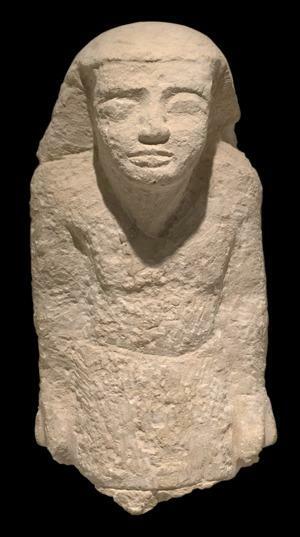 As part of the ongoing effort to preserve ancient Egyptian history, on Monday, the Egyptian government has retrieved another of our lost treasures overseas; the Dutch authorities handed over a stolen Pharaonic limestone statue that was about to be auctioned off at an auction house in Amsterdam. In a joint effort between the Ministries of Antiquities and Foreign Affairs, Egypt managed to provide indisputable evidence that the archaeological relic has been illicitly stolen from the Saqqara area in the 1990’s, and then smuggled abroad to be sold. The piece is only the upper part of a statue of a standing man with his arms bedside him; the hieroglyphs on the right arm dates back to a time between 2,500 and 2,000 B.C. The assumption is that it belonged to a senior official from around the decline of the Old Kingdom and start of the First Intermediate Period. In a statement on Monday, Shabaan Abdel Gawad, General Supervisor of the Ministry’s Recovered Monuments Department, stated that the statue was first spotted in March 2018 during the European Fine Art Fair in Amsterdam. The Ministry of Foreign Affairs took the necessary measures, contacting police within the Netherlands to demand the immediate seizure of the statue. Via The European Fine Art Fair. Upon the arrival of the police, and after the auction hall and the owner had been notified that the relic was stolen, they willingly handed it over to the officers; the relic has been transferred to the Egyptian Embassy in the Netherlands. According to Gawad, in due time, the statue will be returned to Saqqara.